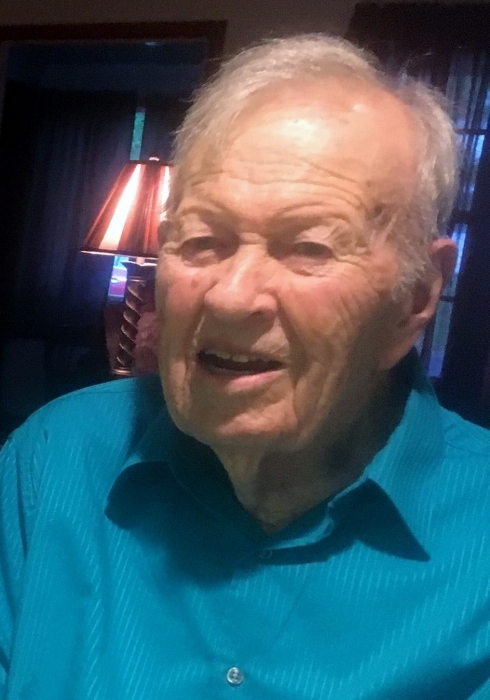 Norman Arther Woods, age 97, of Ostrander, MN died Wednesday August 22, 2018 at Ostrander Care and Rehab Center in Ostrander, MN. Memorial services for Norman will be held at 11:00 A.M. Saturday August 25, 2018 at Trinity Lutheran Church in Ostrander with Pastor Herman Bakker officiating. Burial will be in the Ostrander Cemetery. Visitation will be held 1hr prior to the service at the church. Norman Arther Woods was born March 27, 1921 in Menomonie, WI to Arther and Agnes (Dreke) Woods. He attended school in Dunnell, Martin County MN. On March 28, 1938 he was united in marriage to Mildred Irene Steinhorst in Sisseton, South Dakota. Following their marriage they lived at Dunnell and Celyon, MN, later moving to Ostrander where they farmed and have lived since 1948. In his early years he enjoyed fishing with his brother-in-law Ray and in later years he loved watching and going to NASCAR races, he also enjoyed dirt track, late models, modified and sprint car racing. For many years Norman and Millie wintered in Arizona with several of their friends. He has been welcomed home by his parents, 1 great-grandson Adrian, son-in-law Wayne, brother Stanley, sister Donna Mae and 8 step sisters and brothers.